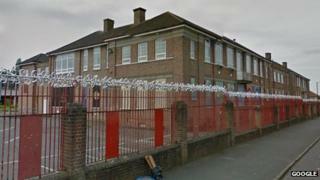 Plans for a new 420-pupil primary school in Bristol have been revealed. The school, to be built on the site of the former City of Bristol College in Marksbury Road, Windmill Hill, is expected to open in September 2014. It is part of a wider Homes and Community Agency project to regenerate the area. Two public meetings to discuss the proposals are planned for 10 September at 14:30 and 18:00 BST at the Jubilee Hall, Wedmore Vale, Bristol. The school will be run as an academy but a sponsor is still being sought. Also included in the project is a new health centre, homes and employment area. Bristol mayor, George Ferguson, said south Bristol deserved a "landmark development" to help boost opportunities for work and regeneration. "It isn't often we get such an opportunity to create a brand new inner-city school as space is at a premium," he said. "I'm confident that these plans will deliver an excellent building for local families to enjoy for many generations." Outline planning permission was granted on 19 June - the proposals are due for full planning approval later this month. Two further new primary schools are also planned. One will be located at old council offices on Avonvale Road in St George and is due to open in September 2014. The second will be at the former Fairfield High School site on Fairlawn Road in Horfield and will open a year later.